By Lifeboat Foundation Scientific Advisory Board member William E. Burrows. This is chapter 8 of The Survival Imperative: Using Space to Protect Earth. The manned space program is in shambles. Indeed, if a program, in this sense, is defined as a comprehensive undertaking with an articulated, coherent, goal, there is no manned program. There hasn’t been one since Apollo. Nine days after Columbia broke up over Texas on its approach to the Kennedy Space Center, The New York Times ran a story by Todd S. Purdum, a reporter in its Washington Bureau, which stepped back from the breaking news and surveyed the bigger picture. He reported that the dream of space travel grips much of the world, in part because of the export of American culture, which celebrates it in films such as Apollo 13 and Armageddon. Yet space travel is no longer celebrated in America. 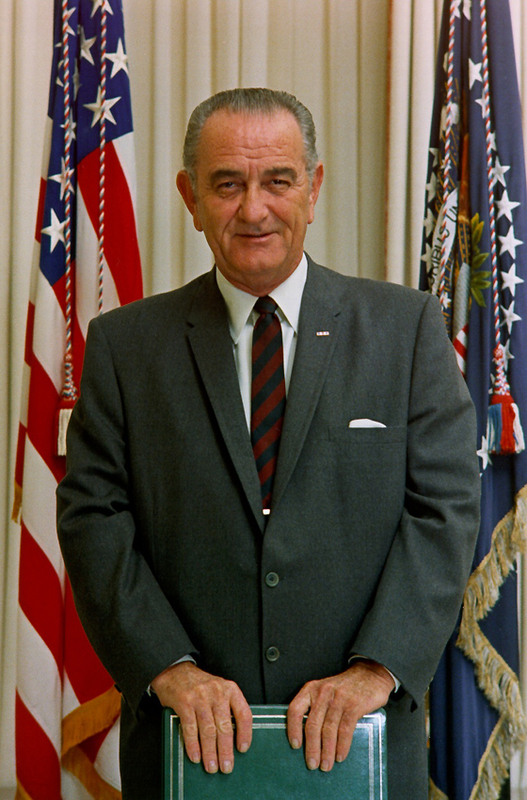 Lyndon B. Johnson, the last U.S. president to put space travel front and center. George W. Bush’s announcement of a “space initiative” on January 14, 2004 at least got the subject back on the national agenda, though it was noticeably lacking in specifics. That led a number of observers to think it was more about feel-good politics in an election year than about serious purpose. More perniciously, it not only derailed the Orbital Space Plane, but a follow-on shuttle program, and other concepts to extend and make permanent the human presence in space. John Noble Wilford, The Times’ veteran space reporter, made the same point as Purdum. With the end of the Cold War, and the space race with the Soviet Union won (whatever that meant), Wilford wrote, “The United States then turned its back on distant space as a destination for human exploration, and for the last 30 years not a soul has ventured more than 300 miles above Earth’s surface.” For young Americans, he continued, there are no longer soaring dreams of the final frontier . Alan L. Bean, one of the insiders Purdum interviewed for his story, was an astronaut-artist who walked on the Moon on November 19, 1969 as a member of the Apollo 12 crew. He told Wilford the Apollo astronauts had taken it for granted that the program they started would continue with the construction of a lunar base and space stations as part of humanity’s logical expansion to space for a permanent presence there. They are looming. The litany of dangers, from high-velocity boulders peppering the neighborhood, to resource depletion, to the spread of terrorism and weapons of mass destruction, to global warming and the multiple hazards it is causing, is growing. Yet we are caught in a dangerous predicament. Unlike the other creatures on this world, humans  at least some of them  have the intellectual capacity to understand the precariousness of the situation. But there is no capacity to respond to it with a long-term plan because, like the other creatures, humans are fundamentally  perhaps because of their evolution  incapable of projecting threats to the distant future and coming up with ways to reduce or avert them. It is the ultimate chess game and we are playing it like wood-pushers. Ray Erikson calls this reflexive reaction to danger, with no long-range strategy for averting it, a “fight or flee” mentality. Humanity is now at potentially serious risk because of our collective inability to break the short term gain cycle. Danger  risk  is relative. There is a tendency to believe that whatever time one lives in is the most dangerous. That certainly was the case for those who lived through the carnage and mayhem of two world wars and the advent of nuclear weapons. If the prospect of the destruction of much or most of the world in a short time is the criterion by which a situation is called most dangerous, then surely the Cuban missile crisis in October 1962 would win that dubious distinction hands down. Had Kennedy and Khrushchev not behaved as prudently (and given that both had hawkish generals urging them to do otherwise, as bravely) as they did, a civilization-threatening conflagration of almost unimaginable proportion would have occurred. Both sides’ nuclear missiles and strike aircraft were on hair trigger alert at that frightening moment, as they were every day of the Cold War. And Near-Earth Objects are certainly a threat. But that has always been so. If anything, the relatively new awareness of the potential risk, and the ability to use space to reduce it, make the planet safer from a serious asteroid impact than ever. Nuclear weapons are coveted by religious fanatics who worship death. But dangers, while relative, abound. Nuclear weapons still exist in the thousands, are proliferating, and are coveted by a steadily growing number of religious fanatics who worship death and who would not hesitate to use them or other weapons of mass destruction to exterminate those they despise. To these fiends add the naturally-occurring afflictions that have been described here, plus a two-headed technology that increasingly will have the capacity to enhance Earth and endanger it (Ray Kurzweil’s and Martin Rees’ voracious nanobot swarms perhaps being one of them, though that is unlikely). Whether all this will bring on some kind of worldwide catastrophe is not the issue. The issue is about increasing planetary protection to ensure that no matter what happens, gradually or suddenly, civilization has the means to evade annihilation and survive. The overwhelming majority of boats do not run into emergencies and sink, but no boat owner in his or her right mind would put to sea without a fire extinguisher, a lifeboat, and insurance. Similarly, most homes do not burn down, but those who live in them safeguard precious papers and other things in safe deposit boxes. Using space to protect civilization and the planet on which it exists will not be achieved through popular acclamation. Most well-educated individuals, let alone the relatively uneducated majority, think of activities in space as an abstraction with no direct meaning for them. And, in any case, they have many more pressing concerns than saving civilization. Invoking Apollo as an example of what can be accomplished in space with public support is illusionary. The American people were generally supportive when their countrymen reached the Moon, mostly for nationalistic reasons having to do with pride in being citizens of the first society to alight on another world, and in the process, demonstrate its superiority over an enemy belief system. But that does not mean there was an inherent fascination with space. It is a mistake to confuse momentary jubilation with long-term resolve. As the Columbia Accident Investigation Board made clear in its report, NASA has in the years since Apollo gradually suffered a systemic disintegration that accelerated after the end of the Cold War. This was partly the result of a lack of fundamental purpose within the space agency. While the board did not say so explicitly, the lack of purpose very likely led to the “broken safety culture” that ended in the second tragedy. More important, the lack of purpose reflected an institutionalized indifference in successive presidencies and in a Congress that believed those of its constituents who were not actively involved in space, as was the aerospace industry, had many more pressing priorities. Prof. John M. Logsdon, the long-time director of the Space Policy Institute at The George Washington University and the accident investigation board’s historian, wrote in the report that the Cold War imperatives that made NASA so potent a political symbol for John Kennedy and his immediate successors, now seem gone for good. That is because the space agency’s management has always believed, correctly, that it was bringing prestige to the nation and, incorrectly, that ambitious goals would be rewarded with the means to achieve them. The old debate between advocates of manned spaceflight and unmanned missions is now hackneyed and ought to be put to rest. The argument that using people in space is needlessly expensive is valid only if they are doing frivolous things. But not only is there nothing frivolous about using people to protect their civilization, there is no alternative. That being the case, humans and machines must be coordinated so each does what it is best suited to do, hopefully in support of the other. The Lunar Orbiters, Rangers, and Surveyors that reconnoitered the Moon so men could safely land on it, and in turn set up machines to collect scientific data, is a textbook example of a mutually-supportive man-machine effort. Given a public that is largely distracted by terrestrial problems (ironically, many, such as famine, energy shortages, and nasty disputes over water could be eased or ended by using space), and an agency that is in the doldrums because the political power structure doesn’t believe it has a serious purpose, it is time for a fundamental change in attitude in the upper echelons of government. The White House and Congress should recognize that protecting Earth is an issue so profoundly important it is beyond partisan politics. Understanding the magnitude of what is at stake  as a growing number of scientists and others have  and acting on it by forging a long-term planetary protection program will mark the difference between the merely self-serving political drone and the real statesman or -woman. The process should start with the creation of a commission of highly knowledgeable experts, including sociologists and others who have already projected the likely effects of an environmental catastrophe, as well as scientists, economists, and ecologists. And the deliberations should be made by experts from around the world. The problem, by definition, cannot be addressed unilaterally. The citizens of Earth deserve as much. Planetary defense should be conducted, not as a major program within the space agency, but as the agency’s highly focused, overarching, mission. This is not to say space science and exploration should be abandoned or subverted to “applications”. Learning about the world in its entirety is fundamentally important for spiritual reasons that usually have ways of becoming practical. Exploration, whether accomplished by sending robots and people to other worlds, or by observing them with telescopes, microscopes, and colliders  “atom smashers”  is so important that calling it off would contravene human nature. It is inconceivable. But the core mission, in its totality, would send humans and robots to space for mutually supportive operations specifically designed to protect the planet. That is to say, NASA, its collective foreign counterparts, and other cooperating U.S. agencies, should assume the role of Earth’s guardians. As it is, the space agency continues to try to ensure its survival by appealing to a very broad range of interests. NASA’s website lists its traditional missions as exploring the universe, searching for life, and “inspiring the next generation” (presumably to take to space). Lately, the site has added “To understand and protect our home planet.” That is a promising, if very small, step in the right direction. The idea is not new, but it has consistently been ignored because of higher priorities, most of them political. The legislation was submitted by the late Rep. George E. Brown Jr. of California and was written by his aide for space policy, Steven M. Wolfe, an unabashed believer in humankind’s future in space. Wolfe became so angry when he read an article in The New York Times in late January 1993 claiming that human space flight served only Cold War interests and no longer seemed relevant in its aftermath, that he sent an angry rebuttal to the newspaper. The evolution has to involve machines and people working together to complement each other. Machines working on their own would monitor natural resources, both to inventory them and to spot the sort of greedy spoilers who are destroying the Amazon and other forests and over-fishing around the world. Imagery showing a wilderness being looted would immediately be turned over to the law enforcement officials of that nation. They might or might not act on the evidence, but the Planetary Protection Program would have done its part. Similarly, in the likely event that limits are set by the international community on the amount of fish that can be taken in international waters until the decimated schools are replenished, imaging satellites would be used to find and track plundering fishermen. 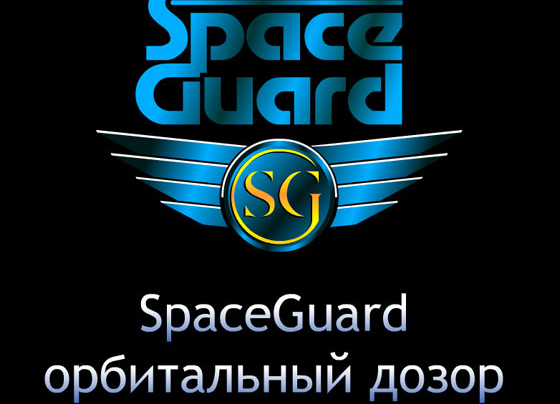 Spaceguard, with its centralized reporting point at the Harvard-Smithsonian Astrophysics Center, and with cooperative arrangements with observatories in other countries, should be the model for NASA’s Planetary Protection Program as a whole. And Spaceguard should receive enough funding so it can build and operate telescopes for use around the globe and in space that will allow it to pick up and catalogue almost all potentially dangerous asteroids and comets. The importance of the program is finally beginning to take hold. Spaceguard was originally mandated to find and catalogue almost all near-Earth asteroids and comets that were a kilometer or larger. In 2003, NASA’s Science Definition Team recommended that NEO searches be extended to locate and catalogue ninety percent of objects in the neighborhood with diameters greater than 140 meters. Six years later, in January 1999, George Brown took it a giant step further. He inserted language into the NASA Authorization Act calling on NASA to adapt the 140-meter size to its Near-Earth Object Survey, which detects, tracks, catalogues and characterizes the intruders. He also called on the space agency to study ways of diverting an NEO that is on a collision course with earth. That strategy is unarguable. But depending on velocity and composition, even a 140-meter rock could strike Earth with a force equivalent to two of the largest thermonuclear warheads ever made. Such an impact would effectively obliterate New York, Paris, Moscow, or Beijing. But Spaceguard’s annual budget averages roughly about $4 million (plus a little extra from other sources to operate the telescopes), which ought to embarrass politicians who allocate many times that amount for dubious projects, one of which included an infamous pork barrel deal to build a bridge in the Alaskan wilderness that goes to an uninhabited island. Many times that amount was spent to repair the sliding doors on the Vehicle Assembly Building at the Kennedy Space Center. Locating and cataloguing objects in the 140-meter range will require substantially more telescopic and other collection capability than currently exists. And that, of course, will require a funding level to support such a system. Concerned ordinary citizens around the world are filling the breach, however. That’s why the Spaceguard Foundation was created. In the event an Earth-crosser is calculated to be on a probable or definite collision course with this planet, it would have to be moved off course. That job could go to the U.S. Air Force, whose expertise in the arcane business of “taking out” enemy satellites with anti-satellite weapons would make it a clear candidate for doing the same to “enemy” asteroids. The airmen should coordinate asteroid and comet defense with Spaceguard’s astronomers, including NASA’s, to develop a defensive plan that would be an integral part of the larger Planetary Protection Program. Civilians, including scientists, engineers, and at least two former and current astronauts not affiliated with Spaceguard or the Air Force have been working on ways to spot and intercept potentially threatening asteroids and comets, some of them impressively imaginative. A team of seven aerospace specialists from NASA’s Langley Research Center in Virginia and the private sector have come up with a Comet/Asteroid Protection System, or CAPS. They are worried that the conventional ground-based telescopes used by Spaceguard are not only inadequate for providing 100 percent coverage of the very big nasties, but that they would give no warning time for 140-meter asteroids, or for the long-period and smaller short-period comets that come from the Oort Cloud and elsewhere that could cause terrible regional destruction. They consider this to be a serious gap in Earth’s defensive system and have proposed to remedy it by sending detectors to space to work in conjunction with the ground-based telescopes. The idea would be to expand the range of detectable objects by searching the whole celestial sky regularly with a small constellation of spacecraft for permanent, continuous asteroid and comet monitoring. That way, the orbital trajectories of threatening intruders could be altered relatively quickly to avoid an impact. “A space-based detection system, despite being more costly and complex than Earth-based initiatives, is the most promising way of expanding the range of detectable objects,” they told an audience at a major space meeting in Houston in October 2002 . A historic step in awareness of the NEO threat and ways to deal with it took place at another conference that was held in Garden Grove, California, on February 23–26, 2004. The meeting, called The 2004 Planetary Defense Conference: Protecting Earth from Asteroids was sponsored by the American Institute of Aeronautics and Astronautics and the Aerospace Corporation. It was attended by more than 100 astronomers, other scientists, and interested individuals who were not scientists. More than eighty papers were presented during the meeting, addressing such topics as: NEO Impact Scenarios, Radar Reconnaissance of Potentially Hazardous Asteroids and Comets, Space Impacts Mitigation: Deflection and Dispersion Based on Nuclear Explosions, The Mechanics of Moving Asteroids; Psychological Factors Influencing Responses to Major Near-Earth Object Impacts, Communicating the Unimaginable and the Effects of Pop Culture on Catastrophic Disaster Perception, and the B612 Mission Design. The B612 Foundation, a nonprofit group whose mission is to develop and demonstrate a capability to deflect asteroids before impact, was founded in the autumn of 2002. It is named after the asteroid in Antoine de St. Exupery’s classic children’s book, The Little Prince. Four of the founding members  Russell L. “Rusty” Schweickart, a former astronaut; Edward T. Lu, a current astronaut; Piet Hut, a scientist at the Institute for Advanced Studies in Princeton; and Clark Chapman  wrote a richly-detailed and imaginative article for Scientific American that described the threat posed by asteroids and a way to physically reduce it. They came up with a plasma-fueled asteroid “tug” that would land on a potential impactor more than a decade before a probable collision and gently nudge it off course the way tugboats in harbors nudge ships. They have suggested demonstrating the technique on an asteroid before 2015, and make the point that it would allow more control than using nuclear explosives, solar pressure from photons, and other methods. Such a rendezvous has already happened. 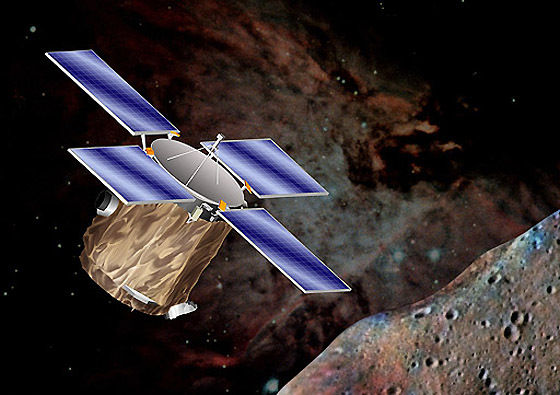 On February 12, 2001, the Near-Earth Asteroid Rendezvous spacecraft, which was on a two-billion-mile science mission, landed on a twenty-one-mile-long asteroid named Eros for on-the-spot inspection after studying it in close formation for a year. In common with other knowledgeable individuals who are considering the problem, including those in Spaceguard, the B612 group knows that, while not a threat to all of civilization, a 100-meter asteroid impact could cause horrendous death and destruction to a densely-populated region. And like everyone else who is studying the potential threat, they also know that what cannot be seen and plotted cannot be deflected . Locating and cataloguing asteroids and comets, large and relatively small, therefore remains the first priority. And, again, the obstacle is funding. The National Reconnaissance Office looks for trouble in the other direction: down. If protecting civilization includes preventing superweapon proliferation, and the horrendous destruction and loss of life that can result from it, the NRO needs to continue to be heavily funded to carry out its space reconnaissance mission. 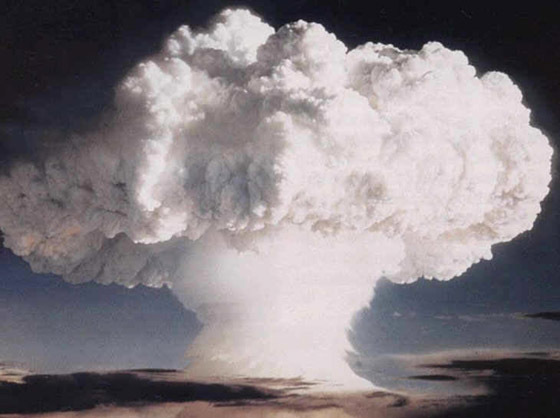 And while there can be no suggestion of revealing classified information, especially since planetary defense by definition must be an international effort, the NRO, too, should continue to communicate and share imagery with its civilian counterparts, as it has done since the 1960s, and through the suitably ambiguous-sounding Civilian Applications Committee starting in 1975. NASA can continue to reciprocate, as it has during that time, when one of its imaging satellites spots something that is of interest to the intelligence community. Other intelligence organizations, including the Department of State’s Bureau of Intelligence and Research, the Department of Energy’s Office of Intelligence, and the Defense Intelligence Agency, should also participate. Coordination should benefit the civilian and military sectors and be synergistic. The key would be to share information for the best possible understanding of the threat. While “compartmented” information has long been used in the intelligence community to limit damage by a betrayer, it has also caused a number of serious errors and misunderstanding. International terrorists, who had been solidifying for a decade as they bombed selected targets, officially raised their curtain on September 11, 2001. Two years later, with the U.S. invasion of Iraq used as a pretext, deeply angry militant Muslims joined the ranks of the existing worldwide cadre of those who want to destroy the West at any cost. One obvious way to inflict terrible damage, both by killing innocent people and terrorizing others, is through weapons of mass destruction. As noted in the case of North Korea’s nuclear weapons program, space reconnaissance has an important role to play in stopping superweapon proliferation. Chemical and biological weapons production are more difficult to find because, unlike nuclear weapons, they do not require relatively elaborate manufacturing facilities and can be made with the same kind of off-the-shelf hardware that is used for bacterial and virus research and pesticides and other chemical concoctions. (Though as previously noted, radically smaller equipment for making fissile material out of raw uranium, the Zippe centrifuge, was smuggled and sold to at least three nations by Pakistan’s A. Q. Khan.) It is therefore unrealistic to believe that imaging satellites, no matter how capable, will ever be able to locate carefully hidden facilities. Part of that campaign has been, and will continue to be, eavesdropping on their communication from space. Very large communication intercept satellites continue to be launched into Clarke orbit from the Kennedy Space Center on their ultra-secret missions. What is needed is a new class of much smaller listeners that can be produced in quantity and deployed, much in the manner of the fleet of communication satellites, to pick up local conversations and other electronic interchanges between individual terrorists and their cells, and triangulate their positions so they can quickly be found and caught. That will be one of the key missions for the secret robots until the threat from international terrorism is ended, if ever. The core of the Planetary Protection Program is the lunar base, to be expanded into a growing colony, and to provide a home for the archive. President Bush was therefore right in calling for a return to the Moon in his space initiative address to NASA. And in the long run, heading for Mars will be imperative. Certainly it should be explored in the search for life, and also just for the sake of getting to know the place in greater detail. But even more than the Moon, Mars is a realistic place to spread civilization as a hedge against a catastrophe on the home planet. As much has been said about the International Space Station as well. Most everyone who believes in colonizing space thinks that very large stations should be an integral part of it, and certainly a part of the process of settling the Moon. The key is to borrow a page from Gerard O’Neill: build a large one, make it as self-contained as possible, and populate it with a tiny community. But there are two obstacles. Such a station would be so expensive, especially with the current and projected budget deficit, that it could not be funded. In addition, there is no grass roots constituency for a huge spaceship, since the overwhelming majority of people do not think it is necessary. The International Space Station is a compromise. It was originally touted as an advanced Skylab on which perfect ball bearings would be manufactured in zero gravity and, like the shuttles, where experiments would be performed that could (notice the qualifier) help prevent or cure horrible diseases. Not to leave anything to chance, its prime contractor, the Boeing Company, even ran newspaper ads that showed a little girl saying that the station kept her father employed. In the end, the “space science” came down to almost endlessly repetitive physiological experiments on astronauts to understand how the human body reacts to long-duration spaceflight. Successive crews are not given flight or mission numbers. They are given “expedition” numbers. The bioastronautics research, as it is called, does investigations on subregional assessment of bone loss in the axial skeleton on long-term space flight; promoting sensorimotor response generalizability: a countermeasure to mitigate locomotor dysfunction after long-duration space flight, and advanced diagnostic ultrasound in microgravity, to take only three that are described in medspeak. But the irony is that the only long-duration mission is the station’s endlessly flying in circles around Earth. It is worth recalling that before President Bush announced his space initiative, he reduced the station’s crew size by half and lopped off a science module, angering the ISS’s other partners. And it gets worse. There is an adage in the aerospace world that goes like this: With a constituency, you don’t need a mission; without a constituency, the mission doesn’t matter. The space station does have a constituency. It is the international consortium of companies that have profited from building it, and which will continue to do so with restored access by the shuttle. There are so many fat contracts and sub-contracts that in the most honest of all possible worlds, the ISS would be called the Great Pork Barrel in the Sky. That’s what gives it a domestic constituency as well as constituencies in Europe, Canada, Japan, and Russia. What is more, completion of the station will almost undoubtedly be its kiss of death, since the big profits are in construction, not in operation and maintenance. That means the station’s real mission is to be built. Once that has happened, especially given that tenuous initiative (which, if nothing else, will generate a mound of lucrative study contracts), the station will suffer a slow, neglected end. That does not have to be humankind’s fate in space. There has to be a true, continuous, presence there; a presence that has a compelling purpose. And the continuous presence, in turn, will require much less expensive launch systems than are now in use. Yet however relatively inexpensive the launch vehicles and spacecraft that are that carry people and cargo to the Moon, the inescapable fact is that going there will be very expensive indeed. But there is no alternative except what could be the ultimate catastrophe. The most daunting obstacle to a permanent program to use space for the protection of Earth is not financial or technical. It is political. It is of utmost importance that a bipartisan planetary defense culture takes hold in the United States and around the world and accept the fact that space budgets must not only grow, but must be stable and protected over the infinitely long term, rather than be debated and re-debated every year. Planetary defense, in other words, must become as normative as the military. No government would consider abandoning its armed forces. Protecting Earth, as its constituent nations are protected, should become permanently institutionalized and financed accordingly. There is a model. The Navy budgets the operation of large vessels, such as aircraft carriers, for the expected life of the ship. It is inconceivable that a $4 billion supercarrier, which takes seven years to construct, would not have enough operating funds so it could fulfill its mission over its projected lifetime. As the carrier admirals do not have to scratch for funding to operate their ships every year, neither should the managers of the spacecraft fleet, the stations, and the lunar colony. Their funding must be as steady and dependable as the military’s. Planetary defense is by definition international. As astronomers in Spaceguard cooperate with their foreign counterparts, so should the world’s space agencies where the defense of Earth is concerned. National interests started the space age, prevailed during the Cold War, and continue. China’s orbiting a man, promising to orbit others, and announcing that it is aiming at the Moon, were blatantly nationalistic. Every nation with a space program uses it, at least in part, for national security and political leverage. Yet there are areas in which cooperation for the common good could be accomplished, most likely under the auspices of the United Nations. Protecting Earth is an obvious one. The UN itself has a number of organizations devoted to international cooperation off Earth, such as the Committee for the Peaceful Uses of Space, and specialized agencies like the International Telecommunications Union and the World Meteorological Organization. In Goals in Space: American Values and the Future of Technology, which came out at the end of the Cold War, William Sims Bainbridge made the point that joint space projects between nations improve international cooperation . That is generally, but not always, true. 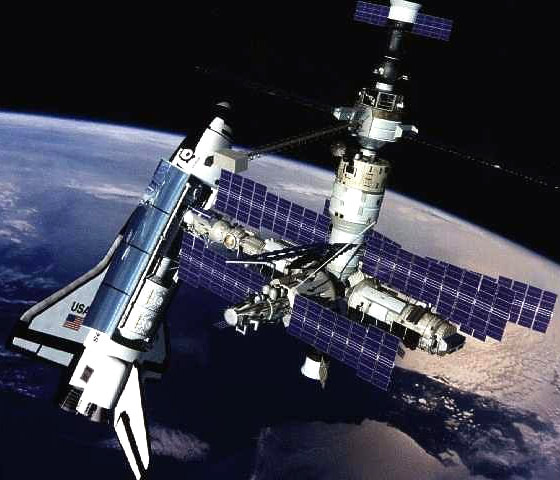 The infamous Shuttle-Mir mission from 1994 to 1998, in which astronauts and cosmonauts trained together for flight on the International Space Station, was a case in point. A series of life-threatening crises, including a fire, chemical leaks, power failures, and a collision with a supply craft, have been widely reported. Less well known was the behind-the-scenes hubris that two proud space programs, one having started the space age and the other having sent its citizens to the Moon, brought to the joint enterprise in a stubborn test of wills that created strained feelings and seriously hurt it. Yet, ultimately, the series of near-disastrous accidents on the aged station taught its Russian and American occupants an enduring lesson about the space environment. There was no possibility of not communicating with one another or working independently, let alone stalking off in a huff. They had to cooperate or die. At this stage, just reaching space is very hard, and so is living there. But that will subtly change as the expansion continues and cooperation increases. The Alliance to Rescue Civilization should also enhance international cooperation. “Civilization” is all-inclusive, and the “alliance” means that every nation, religion, ethnic group, political persuasion, and profession should be encouraged to participate by adding what it considers its most important attributes to the common archive. There should also be independently researched accounts of events, large and small, which have shaped Earth’s history and will continue to do so. It is imperative that this whole civilization, which may be unique in all of space and time, survive. Jonathan Schell, who wrote The Fate of the Earth, a classic attack on nuclear weaponry, is in accord. He has written with grace that there is a philosophical “view” about civilization’s need to endure that surpasses even the view from space. Martin Rees, whose crystal ball is cluttered with all manner of ghastly perils, is nonetheless another devout believer in the sanctity of humanity and in the absolute necessity of its rescuing itself in space. He does not think colonies in space will sprout like flowers in a field or be a panacea for population and other earthly problems. But he sees them as a crucial hedge against doomsday. “… even a few pioneering groups, living independently of Earth, would offer a safeguard against the worst possible disaster  the foreclosure of intelligent life’s future through the extinction of all humankind,” which remains vulnerable so long as it stays confined and isolated here on Earth, he has written . The continuation of life transcends death, not only physically, but spiritually. The protection of Earth and the creatures on it, connecting the majestic and very likely unique accomplishments that started and nurtured civilization, with the unimaginably humanistic achievements of the very distantly born, is supremely ennobling because it honors and dignifies the precious thing that is life. How unspeakably sad it would be if the cultural riches future generations could bring to the world in art, literature, science, politics, all manner of scholarship, and perhaps a philosophy that enables peace and mutual support to finally take hold, was preempted with no hope of being realized. Using space to protect civilization, providing an environment in which it is able to collectively thrive and grow to its limitless potential, will transform humankind from its traditional role as the hapless victim of fate to one better able to control its destiny and fulfill its inherent, and perhaps unique, potential for greatness. Further, the unborn deserve to fulfill their potential even for what is far less than great. Everyone who believes in the migration to space, for whatever reason, accepts the fact that people will bring their baser instincts with them just as surely as they will bring the higher ones. There is no reason to suppose that evil, stupidity, and unenlightened self-interest will be left on the home planet. What transgresses the morality of any given moment is the sanctity of life itself and the overarching need to protect and enhance it. Being less than perfect, being tarnished, is infinitely better than not being at all. Survival is therefore imperative. That is why the humans who inhabit this cradle of life in a vast, dark, universe have been given the means to protect it for themselves and for those who will come after them. Wilford on the space program: Earthbound; Our Future In Space Is Already History, The New York Times, February 9, 2003. Bean on space: Giant Leap To Moon, Then Space Lost Allure, The New York Times, February 9, 2003. Wilson’s theory: Acceptance speech, Kistler Prize, quoted in The Next Thousand Years TV Series Project, p. 96. Logsdon’s observations: Amid Inertia and Indecision, Helm Didn’t Respond, The New York Times, August 27, 2003. Wolfe’s letter: We Mustn’t Give Up Space Flight Dreams, The New York Times, February 9, 1993. CAPS: Mazanek, et. al., Comet/Asteroid Protection System (CAPS): A Space-Based System Concept for Revolutionizing Earth Protection and Utilization of Near Earth Objects. B612 Foundation’s plan: Schweickart, et. al., The Asteroid Tugboat. Joint projects: Bainbridge, Goals in Space: American Values and the Future of Technology, p. 122. Harrison on settlements: Spacefaring: The Human Dimension, p. 222. Schell on life: The Fate of the Earth and the Abolition, p. 154. Rees on the life imperative: Our Final Hour: A Scientist’s Warning: How Terror, Error, and Environmental Disaster Threaten Humankind’s Future In This Century  On Earth and Beyond, p. 170. Murray on humanity: Navigating the Future, pp. 10 and 11.